Welcome you to a unique luxury cruise exploring Ha Long Bay, we offer not only a luxury cruise service of the highest safety standard but also a completely unique experience with a carefully researched itinerary, insights into Vietnamese cultural values, attentive service, authentic decor, delicious food, drinks and more. 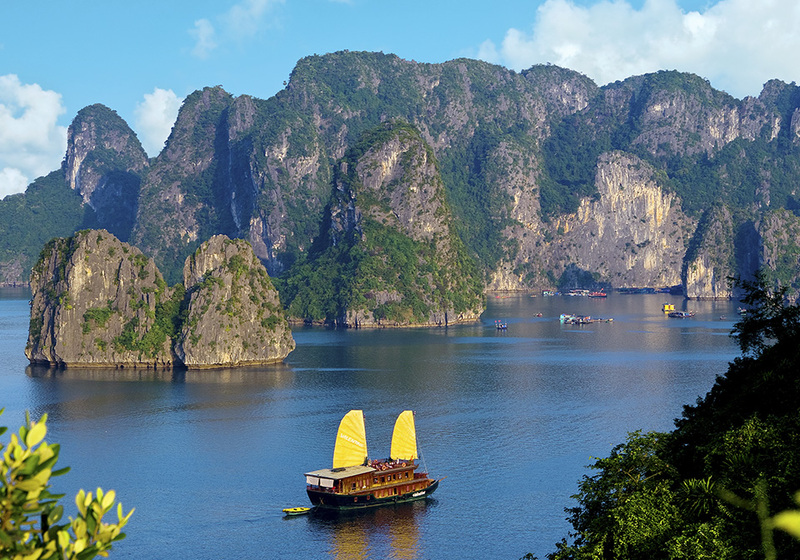 Embark on Dragon Legend Cruise and be captivated by the landscape of Bai Tu Long Bay, the less crowded areas of Ha Long Bay, admire the distinguished World Natural Heritage site and experience a fulfilling voyage you will want to tell others about. 7:30 – 09:45: Cruise to Cong Do area to explore the well-hidden Thien Canh Son Cave. 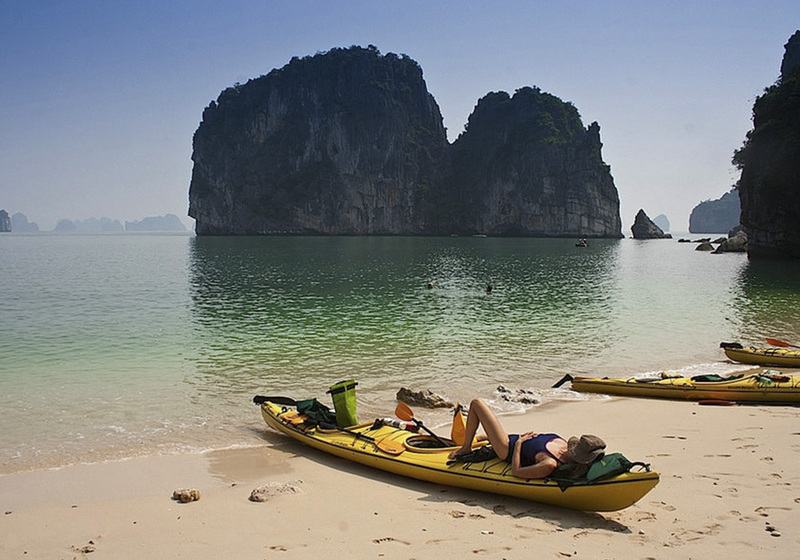 Only 54 US$/person for sharing option, combine with Halong Bay cruise. Yen Duc is a beautiful Vietnamese village on the way from Halong Bay to Hanoi, which can provide many cultural experiences and Vietnamese local life in the rural area. Within 5 hours tour in this village, you can get a glimpse of village life and delicious Vietnamese cooking dinner. The tour has included shuttle bus transfer with cruise, dinner in the village, farming activities, water puppet show and English speaking tour guide during 5 hour tour in the village. 12:00: Disembark from the cruise at Hon Gai harbor and transfer to Yen Duc village. 09:50: Visit Vung Vieng fishing village by a rustic row-boat. 11:30: Visit Thien Canh Son cave. 09:30 – 10:00: Start cruising towards the harbor. Enjoy the scenery on the way. Check-out cabin and pack your luggage. The tour has included shuttle bus transfer with cruise, dinner in the village, farming activities, water puppet show and English speaking tour guide during 5-hour tour in the village. 12:00: Disembark from a cruise at Hon Gai harbor and transfer to Yen Duc village. 17:15: Relax in the fresh air and enjoy homemade Vietnamese cooking dinner. On your Dragon Legend Cruise, you will be served a set menu, an à la carte menu and buffet meals with a diverse selection of delicious traditional Vietnamese cuisine composed of a healthful balance of seafood, meats, vegetables and spices. Our talented chef will entice your senses and completely satisfy both your taste buds and your stomachs. 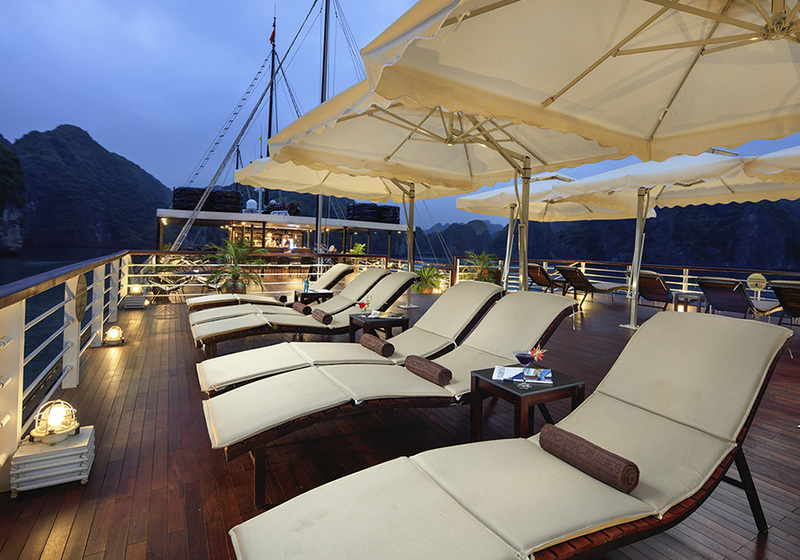 Only $155/person for 2 days 1 night cruise package. New bookings are confirmed from 18th February 2019. Cruise departure dates in June & September 2019 only.